Margaret McWethy, Impressionist painter, studied art history and biology at Swarthmore College. Since graduating she has sought teachers who base their art on training, careful observation, and understanding. Master colorist, Henry Hensche and nationally known portrait artist Cedric Egeli, have been influential. She teaches painting the Impressionist still life and landscape locally. 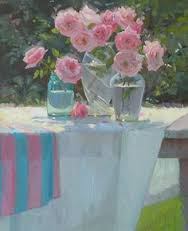 She has won a number of awards and is a featured artist in the publications, Painting the Impressionist Landscape by Lois Griffel, Capturing Radiant Color in Oils by Susan Sarbeck, Painting the Impressionist Watercolor by Lee Boynton. 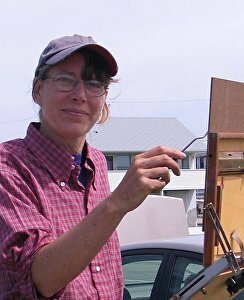 She is a charter member of the New England Plein Air Painters. Her work hangs in private collections in the United States and Europe.